A blog regarding life & spirituality, how to overcome suffering, repeated birth and death, why we are here in this material world and who is God,etc? Please subscribe to our updates by e-mail. Click to Shop Online Now! Panihati is the name of a village located in the state of West Bengal, on the banks of River Ganges (10 miles north of Kolkata). It was one of the leading trade centres in earlier days when the river route was the main means of communication. A special rice variety called Peneti was imported at this place from Jessore in East Bengal. Probably the name Panihati might have been derived from this trade connection. Once upon a time this place was the centre of worship of the Buddhist Tantrics and the Kapalikas. But later, in the sixteenth century, when Sri Chaitanya Mahaprabhu appeared to propagate the Sankirtana Movement, Panihati became a major centre of the Gaudiya Vaishnavas. The residential quarters of Sri Raghava Pandita (one of the associates of Chaitanya Mahaprabhu) still exists in Panihati. 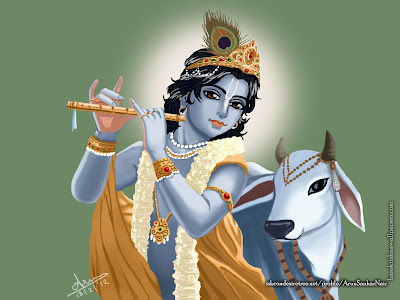 The Supreme Personality of Godhead, Sri Krishna, appeared as Sri Chaitanya Mahaprabhu at Sridhama Mayapura (a quarter in the city of Navadvipa) in Bengal, in the year 1486 AD. The purpose of His incarnation was to establish the Yuga-dharma – the congregational chanting of the holy names of the Lord. Lord Balarama appeared as Nityananda Prabhu, and many other eternal associates of the Lord appeared at that time to join His mission. Srila Raghunatha dasa Gosvami was one of them. Srila Raghunatha dasa Gosvami was a devotee of the highest order. He displayed a spirit of renunciation and detachment from the material world at a very early age. He wanted to leave home and join Sri Chaitanya Mahaprabhu in His mission. But Chaitanya Mahaprabhu asked him not to do so and assured that Krishna would deliver him soon from the clutches of maya. Two years later, Nityananda Prabhu came to Panihati and stayed there. Raghunatha dasa, who was staying in the nearby village of Srikrishnapura took permission from his father Govardhan Mazumdar and went to Panihati to meet Nityananda Prabhu. At Panihati, he saw Nityananda Prabhu sitting on a rock under a banyan tree on the banks of the River Ganges. He was surrounded by many devotees. Raghunatha dasa was hesitant to approach the Lord and paid obeisances from a distance. But some of the devotees noticed him and informed Nityananda Prabhu. 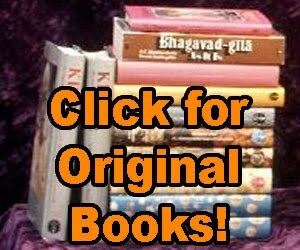 Nityananda Prabhu called Raghunatha dasa and said “Raghunatha dasa! You are hiding like a thief. Now I have caught hold of you. Come here. I shall punish you today.’’ Then Lord Nityananda forcibly caught him and put His lotus feet on Raghunatha’s head. He ordered Raghunatha to celebrate a big festival and serve all the devotees – with yogurt and chipped rice. Raghunatha dasa immediately sent his men to the nearby villages to purchase all kinds of eatables. They brought chipped rice (chida), milk, yogurt, sweetmeats, bananas, sugar and other eatables. The chipped rice was soaked in milk. Half of that was then mixed with yogurt, sugar and bananas. The remaining half was mixed with condensed milk and flavoured with clarified butter and camphor. All the devotees received two earthen pots, one with chipped rice mixed with yogurt and another with chipped rice mixed with condensed milk. The Chida-dahi Mahotsava is celebrated every year in commemoration of this wonderful pastime. This festival is also known as Danda Mahotsava (the Festival of Punishment). It is celebrated on the thirteenth day of the bright moon in the month of Jyeshta (May-June). To this day, pilgrims visit Panihati to celebrate the This festival is also known as Danda Mahotsava (the Festival of Punishment). It is celebrated on the thirteenth day of the bright moon in the month of Jyeshta (May-June). To this day, pilgrims visit Panihati to celebrate the Chida-dahi Festival. ISKCON templles celebrates this festival every year with grand abhisheka for Their Lordships Nitai Gauranga, followed by a boat festival and distribution of chida-dahi maha-prasadam. Watch this video for glimpses of the festival. The temple pond is decorated beautifully with colourful flowers floating on its calm ripples. The utsava Deities of Sri Sri Nitai Gauranga are carried from the main temple hall to the pond in a pallakki decorated with flowers. 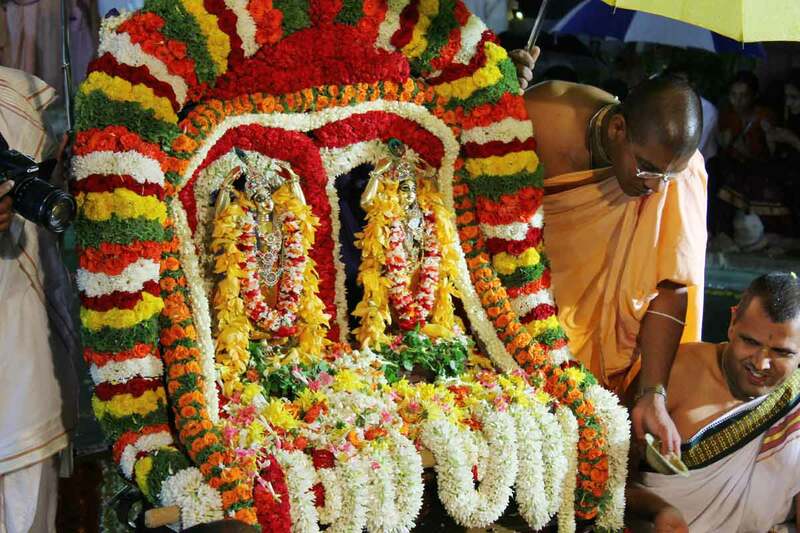 An abhisheka is performed with milk, curd, ghee, honey, jaggery water and exotic fruit juices. The Deities also take a dip in the pond and are offered flowers as part of the abhisheka. The abhisheka is followed by a grand arati, after which the Deities are taken for a boat ride (Theppotsava) in the temple pond. Varieties of preparations are made by mixing chipped rice with condensed milk, yogurt, sugar, bananas, mangoes and assorted savouries, just like Raghunatha dasa prepared for the devotees. 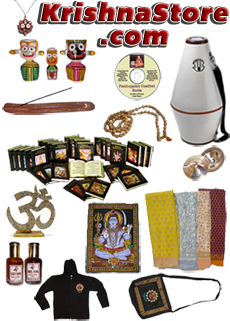 These are then offered to the Deities of Nitai-Gauranga and distributed to the assembled devotees. You may offer the following sevas on the occasion of this festival celebration on June 07, 2017. THE ABSOLUTE TRUTH OF HINDUISM. Click the image to buy now! Why No Onion and Garlic? International Society for Krishna Consciousness(ISKCON) www.krishna.com & www.eternalreligion.com. Picture Window theme. Powered by Blogger.